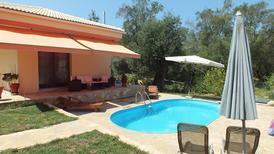 Holiday villa for up to six people not far from Kerkira. Corfu | It can get hot under the Greek sun. 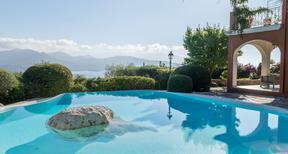 Those who have a holiday home pool to call their own will be at a clear advantage. 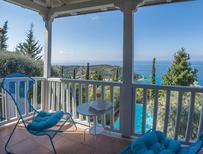 Terrace of a holiday villa for six people on Lefkada. Ionian Sea | The Ionian Sea extends off the west coast of Greece with its wide bays and the islands of Corfu, Zakynthos, Cephalonia, and Lefkas. 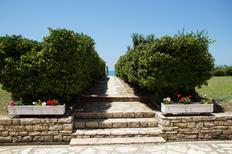 You’ll find accommodation with a direct sea view here. 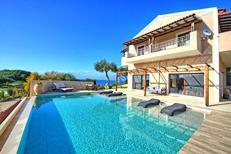 Villa for 12 people on Crete. ​Greece | Travelling together is mostly enjoyable. 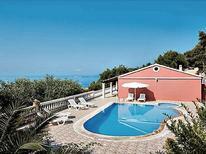 These holiday houses have four or more bedrooms offering enough room for friends travelling together. 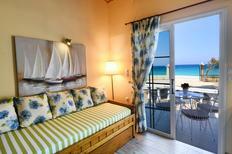 Superbly furnished holiday home for up to ten people on the island of Sifnos. 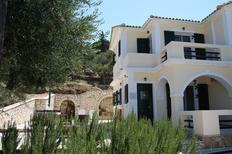 ​Greece | A particular style of architecture has developed in Greece‘s island world. You‘ll find traditional whitewashed houses here – often adorned with characteristic blue door and window frames. Apartment hotel with studios for up to four people in Eprius. Greece | In many holiday parks you’ll also get enjoyment from services and leisure offers along with well-equipped accommodation. 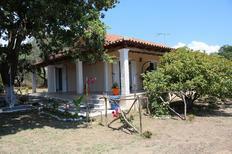 Holiday home for eight people on the west coast of the Peloponnese, located directly by the sea. ​Greece | A vacation in Greece is always the best if the next beach is not too far away. 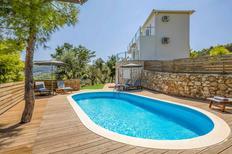 Whether on one of the many islands or on the mainland these holiday houses are only 100 metres away from the sea. ​​Greece | With these holiday houses it is explicitely allowed to bring pets so that your faithful four legged friend can also enjoy a relaxing and eventful holiday. A holiday house on the Ionian Islands costs on average USD 1,057 in the cheap travel period and USD 2,523 in the peak season per week. These details are of course in relation to the house and not per person as well as includes the obligatory additional charges.